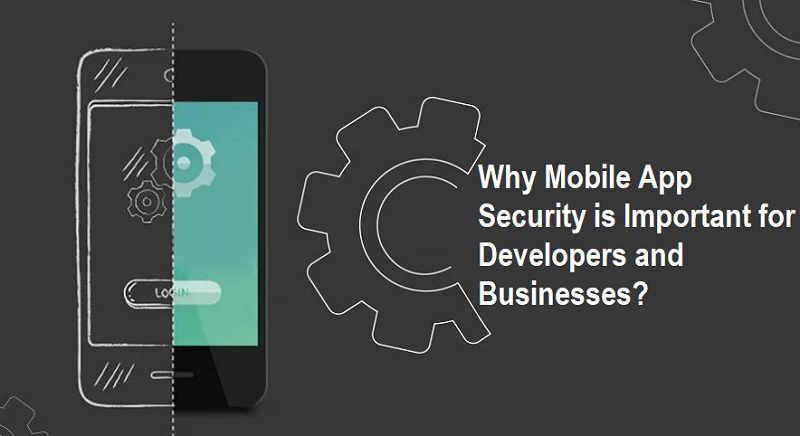 Why Mobile App Security is Important for Developers and Businesses? The evolution of technology is transforming the world in various interesting ways, and mobile technology is one of the frontrunners when it comes to spurring innovation. The advancement in the field of mobile technology is depicted by the introduction of more and more advanced smartphones, cutting-edge software, extremely useful mobile applications, and a lot more. The mobile market constantly stuns the world with something or the other new and exciting, be it better UIs, solid hardware, new age design, improved camera, high-end music player, advanced mobile apps etc. However, with the continuously rising demand and use of mobile technology comes to the burden of making it safe for the users. Expanding the market of mobile apps! The number of mobile phone users is growing at an unbelievably high rate. Almost everyone is using a mobile phone, and the use is not only restricted to phoning or texting, but it has gone beyond that. It won’t be worn if we say that nowadays, mobiles can be used for almost everything! There are apps to be used if we want to keep our health records safe, there is an app if we want to study something new, there is an app to help us manage our banking affairs, and there is even an app to book a plumber. Why is it important to focus on the security factor in the mobile world? Intense use of mobile applications requires the users to key in their important data. It is common for people to enter their generic information like name, age, phone number, email IDS etc. in almost every app. However, some of the mobile apps even require you to add some other necessary details like information related to the ID proofs, banking data, house address etc. The user will only key in the important data in the app if he/she will be absolutely sure about the quality of the security measures. And, majorly, it is the prime responsibility of the app to take care of the user data and to keep it as safe as possible. Now, when it comes to keeping the data of the users’ safety, a lot of factors come into play. Starting from the company or business who’s app the person is using to the app developers, it is the responsibility of everyone who is involved to make sure that the app is highly secure for the users. Security of the data is the prime concern of everyone using an app. And, even if a single user faces any security glitches, then it won’t take a lot of time to degrade the repo and adoption rate of the mobile application. In this era, where reviews and social media is buzzing, it won’t take a lot of time to spread this type of a serious news in the public. And, if something related to the security happens, then it would surely hit the repo of the business as well. Therefore, it is a must for the companies and the app developers to ensure proper safety of the user data. How to ensure the safety of user data? The success of any mobile application largely relies on the safety factor of the app. Therefore, the mobile app developers have to keep the security of the app in mind while developing it. There have to be ways to protect data which is stored in the applications, say with the help of HTTPS. It is recommended to safeguard the mobile application using HTTPS, even if the experts don’t manage sensitive communications. HTTPS is a basic need for new browser features. Insecure HTTP requests will reveal a lot of details about the behaviors as well as the identities of users. And, it is a prime responsibility for the app owners to keep the details of the app user safe. Some of the developers prefer obfuscating code in order to protect the app. it is basically the cautious task of making the source or machine code which may seem a little difficult for hackers to understand and break. iOS and Android App Developers always have the option to deliberately obfuscate code to hide its aim, logic, or implicit standards inserted in it. There is also a tool which is popularly known as obfuscator which can be used by the developers to automatically convert simple source code into a program which may work the same way, however, is much tougher to read and understand. Safety of data should be at the top of the chart for any app developer or the business as any leniency can lead to unbearable outcomes.